When it comes to a perfect ride, board construction and quality is everything. There are many companies that mass produce boards. If you’re comfortable with something off the assembly line, then you’ve come to the wrong place. If you want to work with a shaper that has built custom boards for numerous professional athletes and global brands including Levi Siver, Kauli Seadi, Jason Polakow, Björn Dunkerbeck, Matt Pritchard, Kevin Pritchard, Robby Swift, Mistral, Fanatic, F2, Quatro International, JP Australia, Neil Pryde Maui, Sean Ordonez SOS, Charlie Smith, Timpone, Jimmy Lewis, and many more….then look no further. For over 20 years, we have been building custom surfboards, stand-up paddle boards (SUP), kiteboards, and windsurf boards to meet our clients exact specifications. We use the biggest and most accurate CNC milling machine in the world. 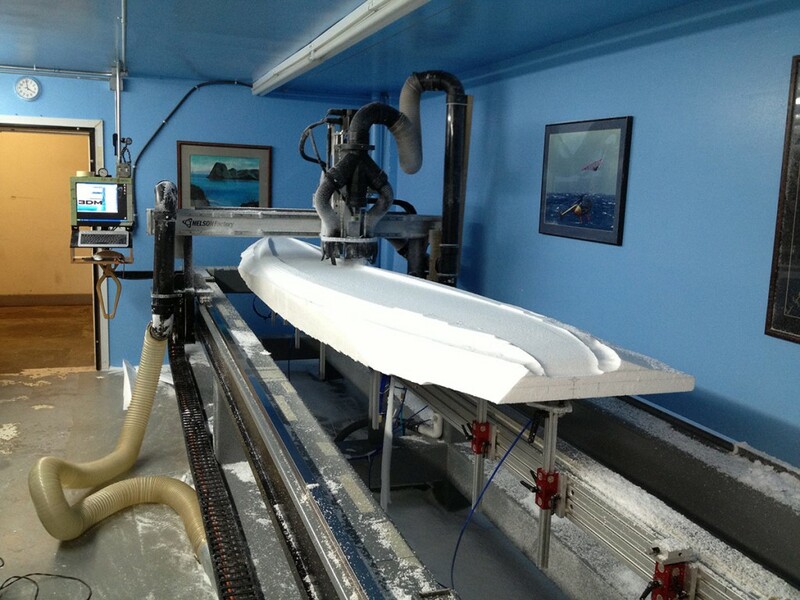 Its operating capacity allows us to mill boards up to 16′ long, and 36″ wide. In addition to our own line, we’re helping other top shapers mill customs designs and building master plugs for companies seeking quality products they can rely on.